Bio Collectors has been involved in the waste industry for more 40 years and recognises the needs of the catering and food processing industry in rising to the challenge of ethically disposing of waste, whilst watching costs. It believes that green does not have to be expensive, it is just common sense that Bio Collectors’ processes have been designed to offer a refreshing alternative to land fill. The company has been involved with the development of food waste recycling technology for more than five years and uses anaerobic digestion technology to turn food waste into agricultural fertiliser. It also produces green energy in the form of electricity and biomethane gas, which powers local businesses in London. 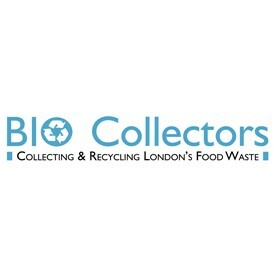 Bio Collectors is the only company collecting London's waste and recycling that waste within London. Last week I was kind enough to be invited to take part in the Environment, Food and Rural Affairs (EFRA) committee’s Food Waste in England inquiry. Having previously heard evidence from celebrities, retailers and charities about the role redistribution plays in tackling food waste, it was time that recycling got its place on the agenda. During my session, I was joined by representatives from the Anaerobic Digestion and Bioresources Association (ADBA) and the Environmental Services Association (ESA). We were pressed on a variety of topics including the waste hierarchy, long term waste contracts and segregated collections, as well as what is happening elsewhere in Europe. In a sometimes-heated debate, it became clear there is a lack of unity on what should happen to unavoidable food waste. There was much discussion about the waste hierarchy and who governs it, but when the facts are assessed it’s clear the Environment Agency is not really practising what it preaches. The waste hierarchy is not being used to promote mandatory segregation of food waste which is clearly in the spirit of the hierarch and I would argue clearly implied in the hierarchy too. Charlotte Morton, Chief Executive at ADBA, summed it up when she noted that a contract recently retendered in Cornwall had simply not taken the hierarchy into account when the contract was renewed and the food waste continued to be mixed in with general waste and incinerated. All participants agreed the waste hierarchy plays an extremely important role and that the redistribution or reuse of excess food products should come first. What happens to unavoidable food waste thereafter is where views become more disparate. In my opinion, AD and composting are the only form of recycling food waste. Incineration – or ‘waste to power’ as many members of the committee refer to it – is simply not recycling. Whether you agree with me or not, the argument about the waste hierarchy becomes irrelevant if separate food waste collections are not enforced. If it is contaminated or mixed with other streams it simply can’t be sent anywhere apart from incineration or landfill. It is no wonder that recycling rates are stagnant in England when incineration and landfill are being favoured neither of which are recycling. I was delighted to hear Jacob Hayler, from the ESA, reveal there was real support within his membership for mandatory separate food waste collections. Understandably, he noted, it had to meet TEEP, but he agreed to share the outcomes of the organisation’s review of the potential for a scheme with the committee. The discussion around its practicability mainly focused on cost. With many authorities around the country tied into long term contracts, their investment in vehicles means that they simply cannot afford to move to other methods before the end of the term. While I understand that position, the discussion surely needs to focus on how these contracts are put together in the future and whether they consider the waste hierarchy at any point. Our session followed an interesting debate focusing on the role of local authorities. The overriding view was that government has a key role in promoting the benefits of segregating food waste, be it to reduce or recycle the amount entering the waste stream. Andrew Bird, Chair of the Local Authority Recycling Advisory Committee, told the committee that local authorities have a vitally important role to play and that food waste represented an increasing cost to them. He stressed that the food waste collection service has to remain separate and that after their introduction, participation rates had increased while the tonnage collected had reduced. This suggests households cut their waste when they see how much they dispose of every day. Other members of the panel, including the waste managers for Merseyside and Hampshire, highlighted their focus on waste prevention, discussing the difficulties of separate collection services in remote rural areas and built-up urban streets. Their respective problems are well known, but as we have seen in other countries, unavoidable food waste recycling in these areas is not unachievable. Interestingly, David Simpson (DUP, Upper Bann) asked the panel a question about what can be done in schools to promote food waste reduction and recycling. The authorities all agreed that more could be done to educate children and families on the benefits of reducing food waste, but there appears to be a gap in secondary schools, where exams take precedence. I totally agree with their assessment and – if we are to achieve our recycling targets – it is imperative that as children become adults they are aware of where their discarded food ends up and what can be done to counteract the environmental issues. It’s about time that food waste is finally being discussed on a government level. It’s all too apparent that we need to do something about the amount of food entering the waste stream. The first port of call is, without doubt, to ensure consumers are buying responsibly and reusing where possible. After that, there needs to be serious thought on what we want to achieve as a country. We have ambitious recycling targets and we are well behind other European nations. If we are serious about improving the way we tackle food waste, separate food waste collections need to be a major part of the government’s plans. If not, we may reduce what is entering the stream, but unavoidable food waste will continue to end up polluting our world. Cost is one of the obstacles and we need to balance that with our aspirations of achieving a ‘green’ and responsible nation. Although the select committee represents the UK Parliament, in reality mandatory segregation will only effect England. Scotland , Wales and Northern Ireland have already marched ahead with mandatory segregation and had the benefit of higher recycling rates. Milan have forged ahead increasing their recycling rates from 35% to over 50% using food waste segregation. Come on England!